Blowouts refer to the process of blow-drying the hair with an option to flat iron. The typical procedure involves using a blow-dryer with a comb attachment or using a handheld dryer while combing it out with a vent brush, paddle brush, Denman brush, or a round brush. After a blowout you are left with a relaxed, straighter look, but this typically won't deliver bone straight hair. To get the flat, shiny, moveable hair, you really need to use a flatiron. The straightened results of a blowout are temporary, and the length of time it lasts will depend on your hair texture, the weather where you live, and how you maintain your hair at night. Your hair will revert back to its natural texture the next time it gets wet. This popular straightening procedure originates in the Dominican Republic and can be varied to suit your individual hair type. Shampoo the hair with a Dominican based product. Deep condition the hair under a hooded dryer for at least 15 min. Apply a Dominican based scalp oil, if necessary. Apply a heat protectant and roller set the hair and dry beneath a hooded dryer. Take down the rollers and blow-dry the roots with a round brush to straighten the roots. If necessary, you can blow-dry along the entire length of the hair. Roll and pin each blown section until it cools. When the blow-drying segment is complete, drop the curls. Wrap the hair for a smooth finish and long-term maintenance. The result will be a silky smooth, moveable blowout with body, bounce, and shine. This will also last based on the hair type. Porous hair types can wear their Dominican Blowout for up to two weeks while non-porous hair could stretch to four weeks at a time. Maintain your blowout by performing the doobie or wrap, which involves wrapping the hair around the perimeter of your head, securing with long bobby pins every night before retiring for bed. This treatment lasts an average of anywhere between 1-4 weeks. Your hair will revert back to its natural state when it gets wet. This technique requires high levels of heat and requires a heat protectant. Though a heat protectant will help, it will not prevent all heat damage. Precautions should be taken and the technique should be used sparingly so as to avoid permanent heat damage. This treatment is best for healthy hair. Damaged or chemically treated hair will quickly break down with this method. The first sign of damage will be in the reduced strength of your curl pattern. Watch for this initial sign of damage and scale back at the onset. 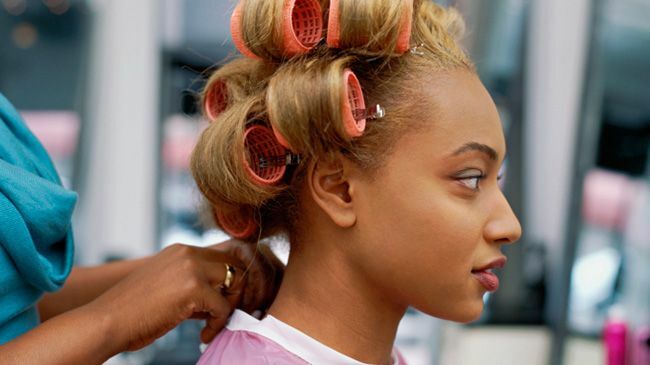 Depending on the city or area you live in, it can cost between $25-$50 for a Dominican blowout. The Goldwell Keratin Treatment system is one of the newer smoothing treatments on the market entitled Kerasilk, also known as the first customizable smoothing service for women, with claims to reduce styling time, improve manageability, soften, and smooth the hair. This treatment can be used to intentionally stretch your hair, or if you're looking to retain your curl pattern then this treatment can be used to smooth the cuticle and reduce. Your stylist should customize the formula based on what you are looking for. Dimitrios Tsioumas of Mizu Salon told Teen Vogue that "mistakes in keratin treatments are mostly made during the application process, with either too little or too much heat, or not enough saturation of the product." We love that this treatment is customizable depending on your hair goals, if you love your curls then you can choose to keep them. But this also means that the results lie in the hands of your stylist, and choosing the right stylist can make or break your keratin experience. 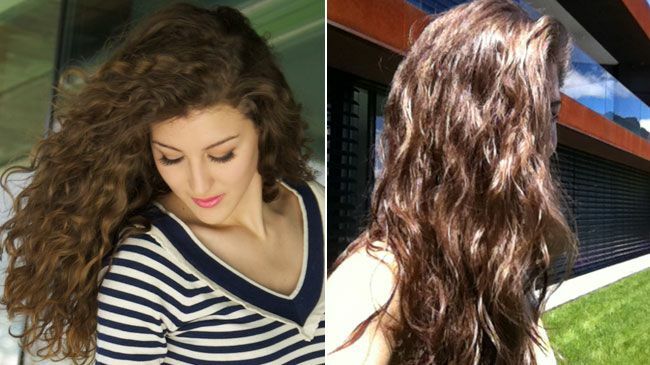 Our own writer Nora Huber has had both positive and negative experiences with keratin, totally based on the stylist. This treatment attaches the keratin to your hair strands through the combination of high pH product formulations applied with high heat temperatures using blow-dryers and flat irons. Based on the formula, the results could vary from reducing frizz to elongating the curl pattern. Be very specific in your consultation so that your stylist is clear on your goals. Also make sure you are working with a stylist you trust and whose work you are familiar with. This process can last up to 5 months. After five months the treatment should wear off and your curl pattern will return to its natural state. Kerasilk is an option for women with textured hair who are looking to reduce frizz or temporarily elongate their curl pattern. This treatment is offered between $200-$350. So, do you want to smooth the frizz for a short while or a long while? Do you want to stretch your curl or enhance your curl?